As part of a scrappy product and design team, I’ve taken on a range of initiatives from redesigning our mobile app for truck drivers to product management to defining Transfix's user research process. As a New York-based startup, Transfix is solving some of the toughest challenges in trucking and logistics. Our goal is to change the supply chain experience with data, design, and transparency. The core of our product links shippers (the customers who have things to ship) to carriers (the companies which own trucks). We focus on the matching experience and providing valuable services to both logistics employees and truck drivers. Once the shipment begins, Transfix monitors the progress and shares information with all relevant parties. Late shipment? No problem, we detect this automatically and step in to handle these situations, managing by exception. As our most widely-used external product, our mobile app was ready for an experience and branding overhaul. The number of shipments Transfix was managing grew everyday. Our drivers needed the mobile app to know where to go and send status updates, but they struggled to use it. So we created the new Transfix mobile app, featuring simpler navigation, clearer information, and an experience optimized for truck drivers. With a growing tech team, I stepped into the role of product manager for about six months. In this time, my incredible team launched a dashboard for our customers, estimated arrival times using our tracking data, and more. Our process takes advantage of first principles thinking and Spotify’s DIBB (data, insights, beliefs, bets) framework. As a designer with skills in product strategy and process, I’m able to play a key role in product decisions and roadmapping. Have you ever been frustrated because one task requires many products? We’ve been focused on this common, but challenging problem. People use Transfix everyday to do their job, managing the life of a full truckload shipment. 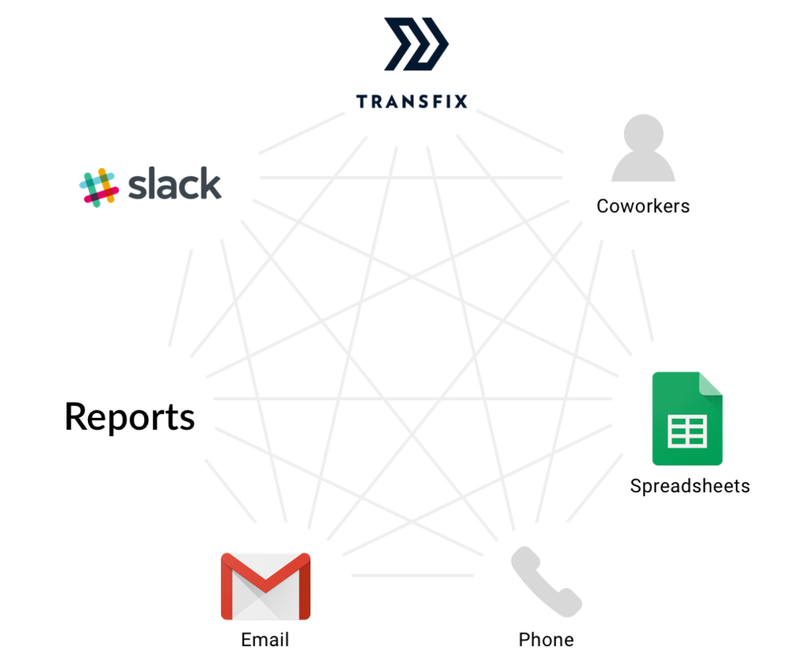 As an MVP, Transfix had covered the basics, but it wasn’t connecting the pieces for a complete experience. Workflows were fragmented across many products, which created high cognitive load. 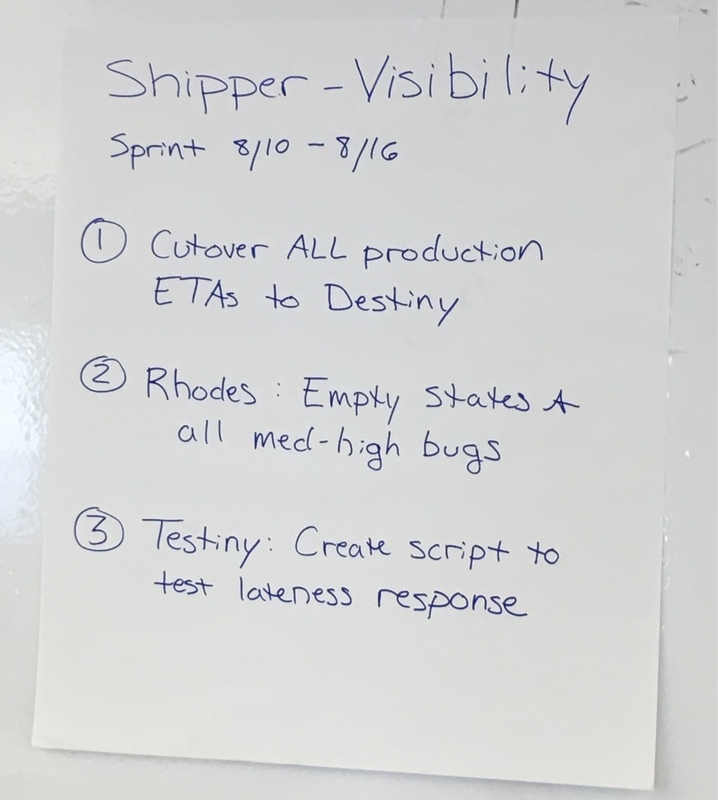 Goal: Seamlessly connect all touchpoints of a shipment to improve decision-making ease. We have three types of users: shippers, carriers, and internal operations. The most important piece is to support people’s workflows so that they can get their job done as effectively as possible. We’re seeking opportunities to create trust and delight in an industry that’s been challenged over the years. Through interviews and observation, I’ve learned the ins and outs of trucking. Our company is challenging old assumptions and process norms. With this energy, we’ve set a vision for a complete Transfix experience. Every week, we’re iterating while working closer to that goal. To learn more, please reach out directly.